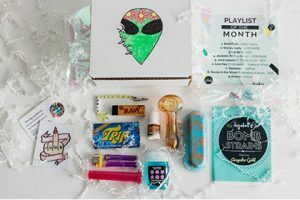 Cannabox is a monthly weed subscription box that does not only bring you all the smoking essentials you may need but also delivers some of the rarest indie products that cannot be easily found on the market. The company has opted for the discovery box concept, so you can never know what you are going to get in advance, but you can be sure that it is going to be a great surprise. 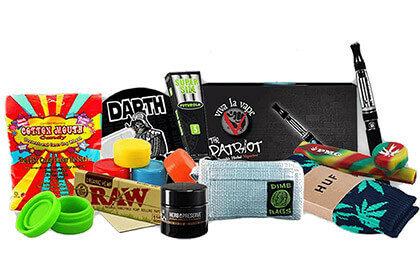 The boxes contain 6-9 essentials on average, handpicked by the experienced Cannabox team. You get the basics, such as rolling papers, pipes, and grinders, as well as t-shirts, books, and fun accessories. Every box features a different theme. You can choose from 3 box types. You can opt for one of its 3 standard subscriptions, choose the essentials-only box or give the service a try with its Cannapack samplers. The standard subscriptions include the 1-month plan, which costs $19.88 per box and brings you 6-9 essentials, plus gear and a t-shirt, the 3-month plan, which costs $18.88 per month and includes 6-9 essentials, plus gear, and the 6-month plan, which costs $17.88 per monthly box and includes the same products as the 6-month plan. Shipping is $6.95 on all monthly deliveries. The essentials-only box contains 5 products and costs only $10 per month, with free shipping within the US. The Cannapacks allow you to get one-time deliveries of 5-7 favorites from the previous boxes and they are perfect for sampling the products before opting for a subscription. They cost $13.99 per box, with shipping and handling included in the price. Our ratings are the result of an objective and independent evaluation of Cannabox, generating the final rating that reflects the overall quality of the product. Ratings may change as the service changes. Cannabox user rating based on 3 user reviews. Didn’t blow my mind but worth the cash. What can I say, I’m a lazy man and pretty easy to please. Me likey. Nothing too fancy, but convenient as hell. 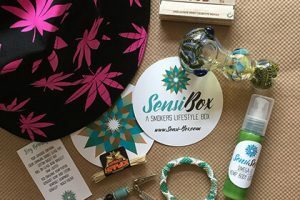 We found 0 verified Cannabox promo codes for April, 2019. There’s no Cannabox coupons or discounts right now.